The 2019 Toyota Sienna is a 8 passenger Automatic transmission, 2 Wheel Drive Minivans or 4x4 Minivans. It is available in 11 trim packages, the L, LE, LE Auto Access Seat, LE Mobility, Limited, Limited Premium, SE, SE Premium, XLE, XLE Auto Access Seat, and XLE Premium. The new Toyota Sienna invoice price ranges from $28,967 to $45,164, while MSRP ranges from $31,315 to $49,090. 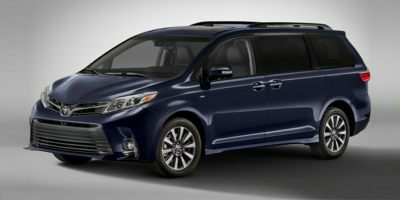 The 2019 Toyota Sienna is available in 9 exterior colors, Alumina Jade Metallic, Blizzard Pearl, Celestial Silver Metallic, Midnight Black Metallic, Parisian Night Pearl, Predawn Gray Mica, Salsa Red Pearl, Super White, and Toasted Walnut Pearl, and 4 interior colors, Ash, Bisque, Black, and Chestnut.